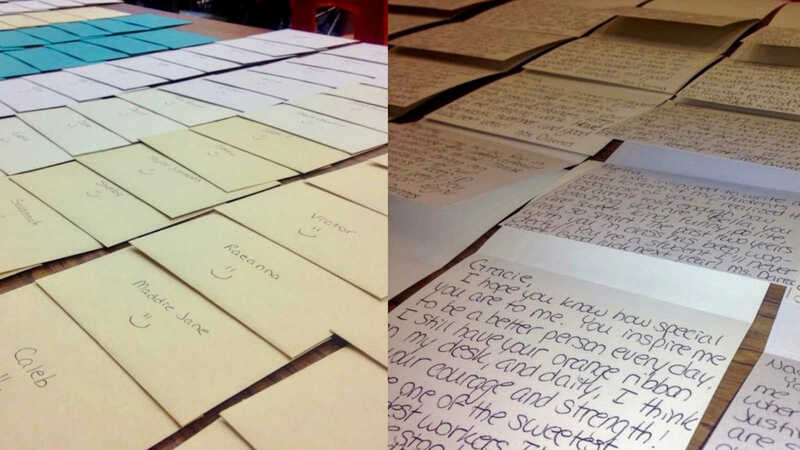 “Two months ago, was the first time I cried during parent/teacher conferences. A mom of a student who I have taught for two years showed up at my table with a list of her daughter’s teachers. Each one had ‘yes’ or ‘no’ written next to it. My name had a ‘yes’ next to it, so she proceeded to explain to me the reason for her daughter’s extended absence. Her daughter- a friendly, intelligent, beautiful, driven, young woman- not only planned to commit suicide, but was in the act of doing so when the police got a Safe 2 Tell report, broke in, and stopped her. She had deleted her social media accounts and left goodbye letters; she was ready to leave the world. 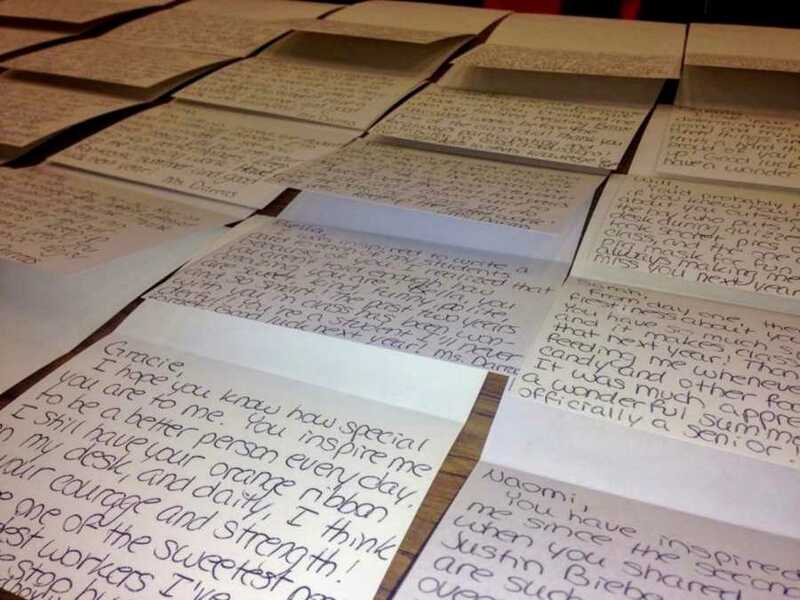 It made me realize that I was way too close to losing another student to suicide. 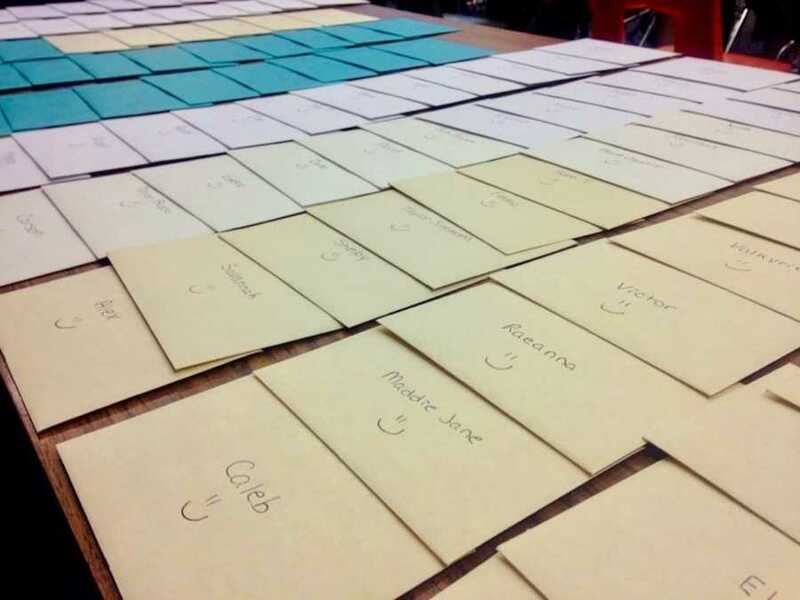 I spent the next 2 months writing cards to every one of my students- over 100 of them- telling each one what is special and unique about them. Suicide is growing to be more and more common, and I can’t help but to think that it’s a direct result of the pressure we put on these kids- to be successful, to fit in, to be the best in their class/sport/etc. This story was written by Brittni Darras of Colorado Springs, Colorado. The article originally appeared here. Submit your own story here, and subscribe to our best stories in our free newsletter here.